Titled in honor of a film recently released about one of our farming heroes, Wendell Berry. Berry’s daughter, in an interview, says that growing up, she was always told to “look and see” by her parents: What is beautiful and right? What is ugly and needs fixing? Teaching children to love nature — which perhaps they naturally do, is incredibly powerful. Limited Edition. Signed. 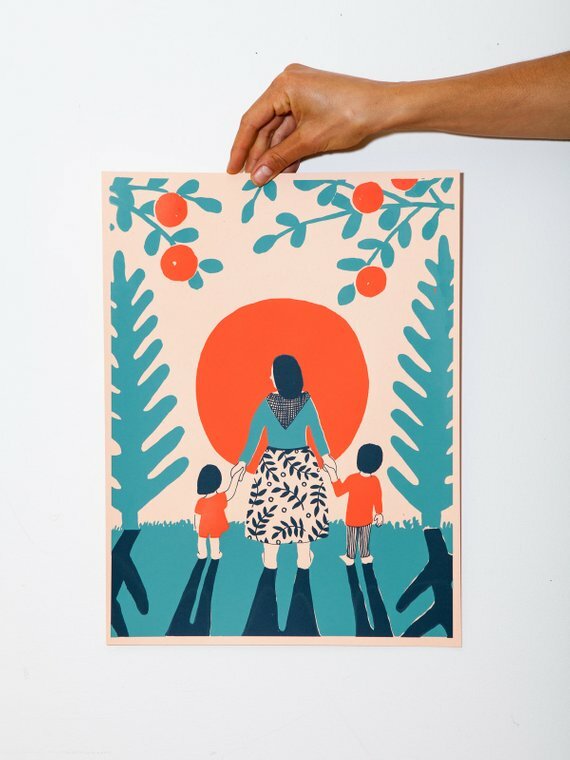 Three color screenprint on Memo Orange Kraft-Tone (French Paper) 100 lb. cover stock. Each print is unique, slight variations in ink application may exist. Limited edition. 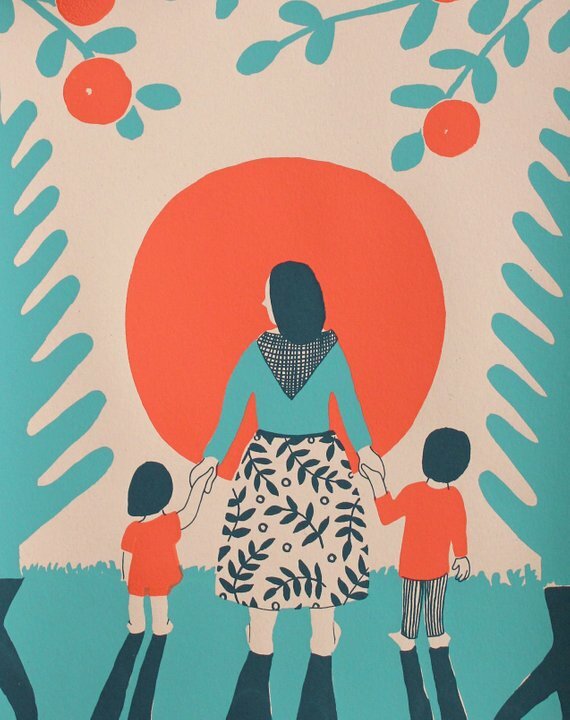 Hand screenprinted in Portland, OR by Nina Montenegro.